Please keep in mind that when visiting each temple, it’s crucial to adhere to the necessary dress code. This includes skirts that fall below the knees, full shoes, and shirts with sleeves. Avoid wearing garments that have holes or open-toed shoes or sandals. If you want an authentic Thai look for this fantastic photo, please be sure to stop by Heavenly Nails and get your eyelashes done before going to the temples. When you want to have a memorable experience, here are a few top temples in Chiang Mai to include in your itinerary. Wat Phra That Doi Suthep is hidden in a remote location in Doi Suthep National Park and is surrounded by lush waterfalls and tribe villages. It’s a trek to get to the location because it’s further west from the city walls, but it will prove to be a memorable experience due to its stunning architecture and golden pagodas on the outside of the building. Visitors can reach the temple by traveling on a winding road before climbing 306 steps to reach the top of the mountain. Not only does the temple feature classic and intricate architecture on its exterior, but it also provides guests with a chance to view the panoramic views of the natural land in Thailand. Centrally located in the heart of Chiang Mai, Wat Chedi Luang is easy to access and is one of the most unique temples in the destination. The site dates back to 1441 and features intricate architecture that has been well-preserved. One of the highlights of the site is the Chedi, which suffered from damage. Although the cause of the damage is unknown, many people believe it was caused by an earthquake in the 16th century or an invasion that occurred in 1775. Wat Umong is a 700-year-old temple that differs from all of the gold temples that are present in Thailand. It stands out for its multiple tunnels that are present inside of the building. It was first built in 1297 and sits on 15 acres of heavily forested grounds where monks can be heard chanting. A natural lake is present at the site where guests can feed the birds and fish that are present. 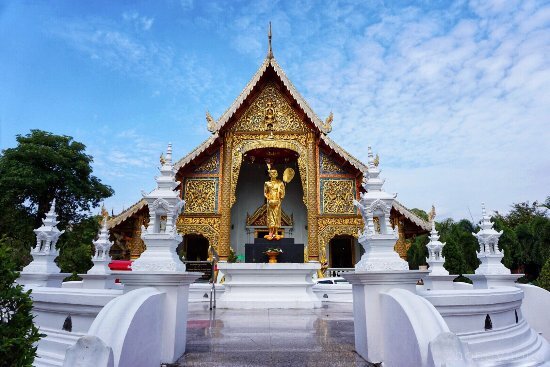 Located on Singharat Road, Wat Phra Singh features ornate grounds at a site that is small but intricate. 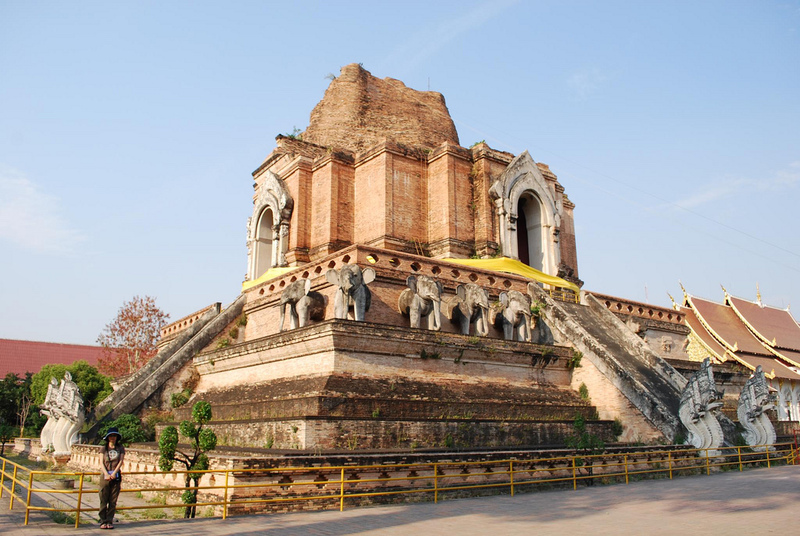 It was originally built in 345 under King Phayu of the Mangrai dynasty. Many different structures and buildings are available on the grounds where visitors can photograph their surroundings. Many of the monks welcome conversation with guests and can be seen chanting on the grounds. Gold elephants and monk statues that are constructed out of fiberglass look realistic and are present inside of the temple. When visiting the site, your shoulders and legs should be covered. 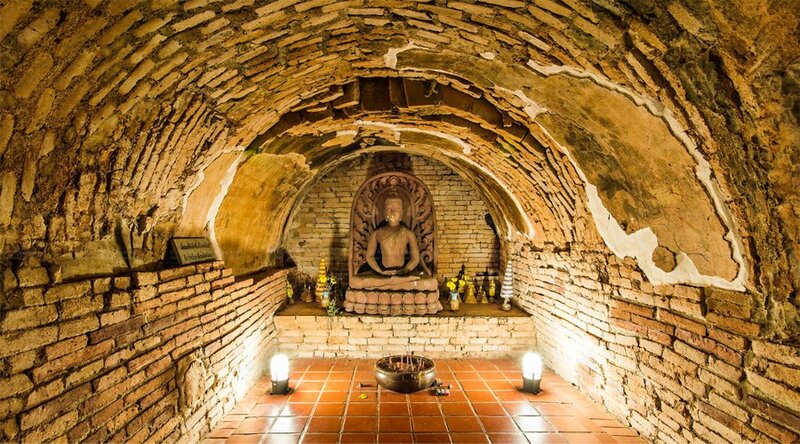 Wat Suan Dok was built in the 14th century and houses many different structures that are available to explore. Here, visitors can find a garden of whitewashed mausoleums with the ashes of different rules in Chiang Mai. A large open-air wiharn is also available to tour, which features low roofs and two large Buddha statues that sit opposite of one another. The wiharn proves to be unique because most assembly halls aren’t built to be open-air. Located outside of the old city wall, the temple is situated 1 km east of Suan Dok Gate. The temple was initially built as a place for revered monk from Sukothai to have a place to retreat. 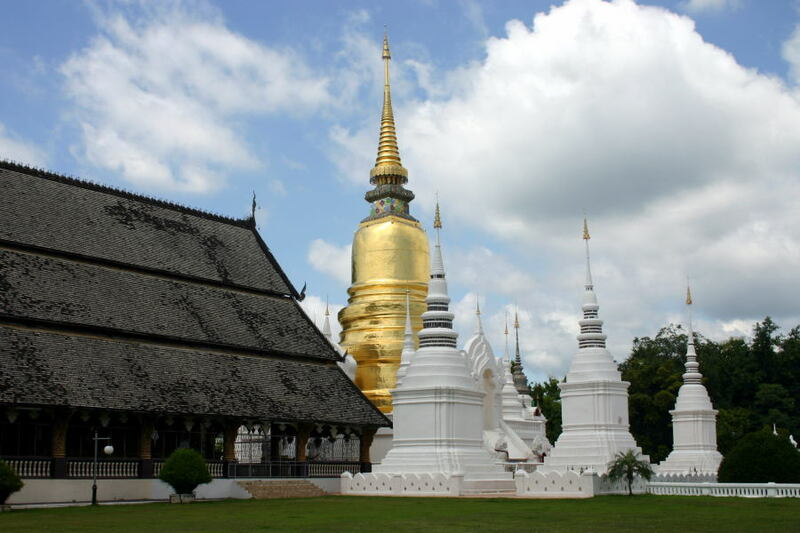 Visiting Thailand means getting the chance to explore some of the top temples that are still present in Chiang Mai. With a bit of research and planning, you can enjoy a memorable experience at each site that you decide to see. Hungry after your temple tour? Read more here for information on the best places to eat in Chiang Mai.